As WordPress has become more and more popular (currently powering around 75 million websites), it has also become a high-profile target for hackers. As a WordPress-only hosting company WP Engine is very proactive and aggressive in response to new attacks. We’ve separated our WordPress hosting customers from non-WordPress sites, spreading traffic across multiple servers and increasing overall speed for all sites we host. We’ve also lowered our exposure to certain attack vectors by separating email from web hosting, another increase in overall security. Code updates. Some of these updates add more functionality or enhance the user interface; often these updates also contain patches for security vulnerabilities or unstable code. We employ a system that checks your site for available updates. We test major updates for compatibility before deploying them to your live site. Security best practices. In addition to WP Engine’s efforts, we also monitor various website security blogs for ongoing threats and take proactive action for protection. Maintain third-party software licenses. Many advanced features require the use of third-party plugins, many of which require yearly license fees in order to continue receiving updates. We pay these fees in order to keep your sites in good standing. Evaluate and deploy tweaks to improve site speed. Google and other search engines base part of your rank on the speed at which your pages load, so we do what we can to stay on top of the latest requirements. Daily Backups. While we’ve always kept your site backed up on a regular basis, WP Engine automatically creates and stores a full month of site backups at all times. We work directly with WP Engine to solve problems with your site. Note that, as always, we do not support plugins that we didn’t research and install. If you want to add new functionality to your site, we encourage you to talk to us before doing so. 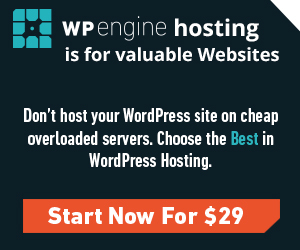 Sound like the kind of WordPress hosting and service you’re looking for? Contact us and we’ll get you hooked up!